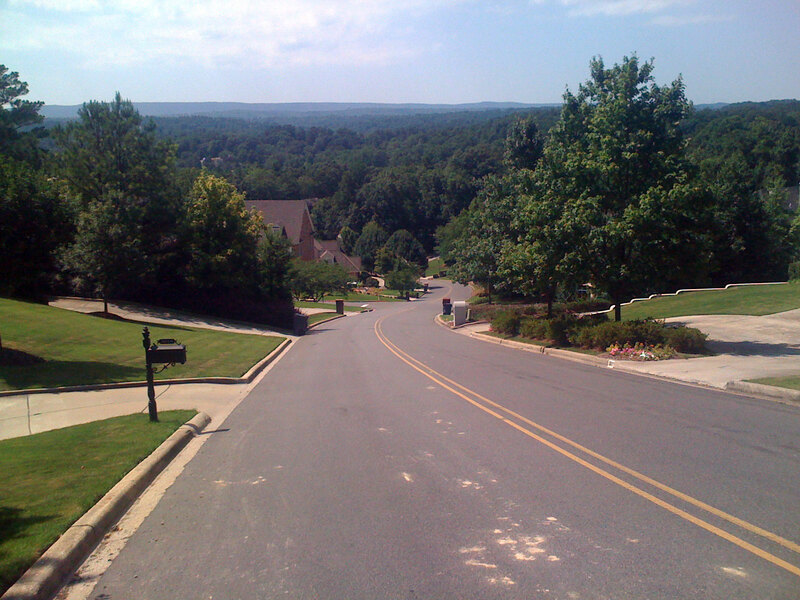 There is a road near my house that drops 240 feet in 0.3 miles, which works out to an average gradient of 18%. Since it is relatively flat (-5% to -10%) at the top and bottom that means the middle section is well over 20% for close to 0.2 miles. They have been doing construction work on the driveway at the “commit point” of the descent so I decided to take it slow today and stop to take pictures to document the descent. I discovered that they were doing construction work earlier this week when I came around the blind corner in the middle of the descent to come face-to-face with a cement truck backing into a driveway. Fortunately, I had also noticed pick-up trucks in the driveway visible before the corner so I had already slowed down and aborted the descent. I came around the corner, saw the cement truck and had plenty of room to maneuver around it on the wrong side of the road. If a car had been coming up the road, I would have had to scrub into the driveway under construction. S Cove Dr elevation profile. Before going any further, let me emphasize that this is an extremely dangerous descent. I document this to warn people that this descent should not be tried at speed, and the posted speed limit of 30mph should be observed. After making the righthand turn from Panorama onto S Cove, the descent looks deceptively gentle. I normally abort the descent if there are any cars going down the hill here. You can see the road bends to the left. What you can’t see is that the gradient jumps abruptly to -20+% around that gentle bend. Even though the gradient is above -20% here, you can still brake and stop accelerating if there are any cars in front of you or if anything else looks/feels off (e.g., construction vehicles parked in driveway and alongside road). The righthand turn up ahead is at the steepest part of the descent, and it is completely blind. I call that turn the “commit point”. 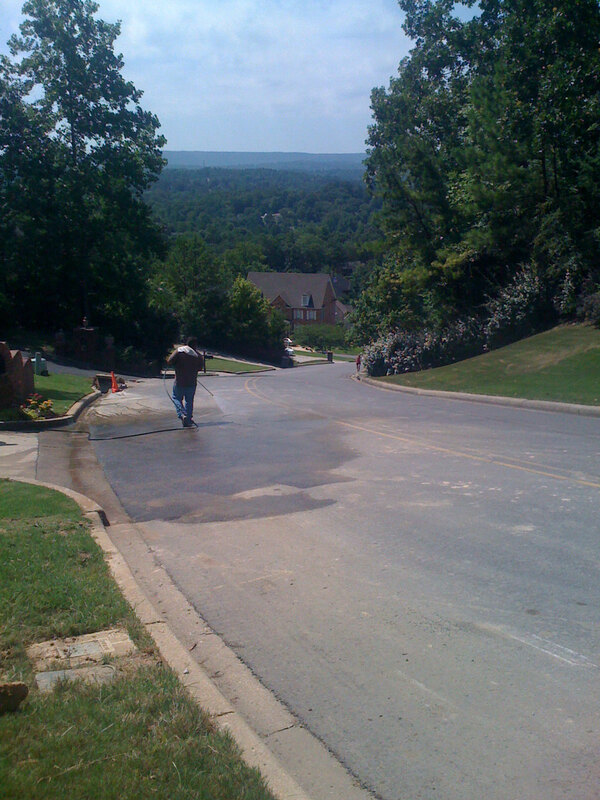 Pressure washing in the blind corner – finally, the construction work is done! This is just before the “go/no go” decision must be made. Once you round that corner, if you haven’t braked hard yet then you physically cannot stop your bike before the next intersection. So you have less than a second from here to scan for obstacles and brake or switch to an avoidance mode where you are looking for an escape route instead of an emergency stop. This is the view just after the blind corner. Here you can see the next portion of the descent, and here you must decide whether you are in brake-mode or avoidance-mode. Although, any good safe cyclist should always be prepared to do both at all times. The next blind turn. This gentle left has two driveways on the right and three driveways on the left. The safest place to be is just to the right of the center-line. Although this means you have to be super vigilant for oncoming traffic. 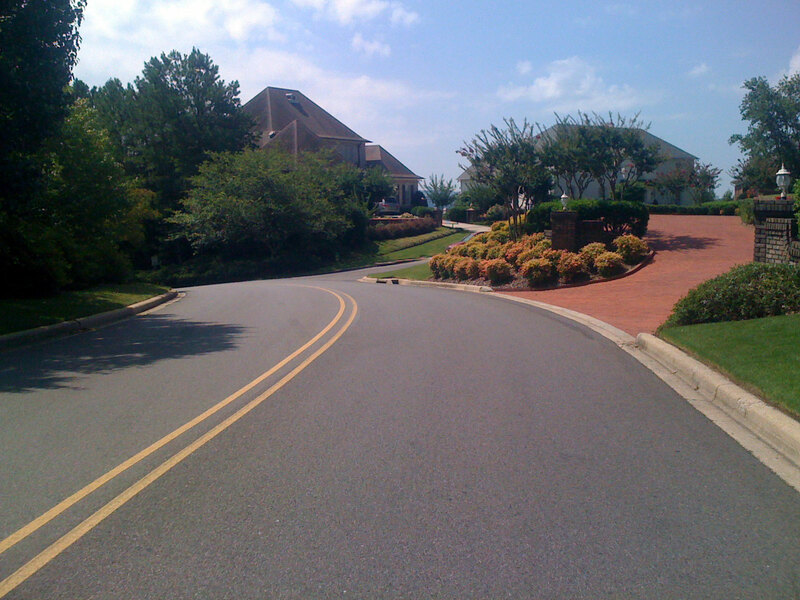 But this gives you extra clearance if somebody were to be walking/jogging up the hill (rare) or backing out of a driveway on the right. At this point though, you should be anticipating the road being completely blocked and know your escape routes. Around the final turn you have a small run-out before the three-way stop. You have to be on the brakes really, really hard through here. Fortunately the road kicks back up just a little bit before the stop so that helps the deceleration process. That is the South Cove Dr descent in pictures. I did this descent twice today – once to take the pictures, and once at normal speed. But again this descent is super dangerous. 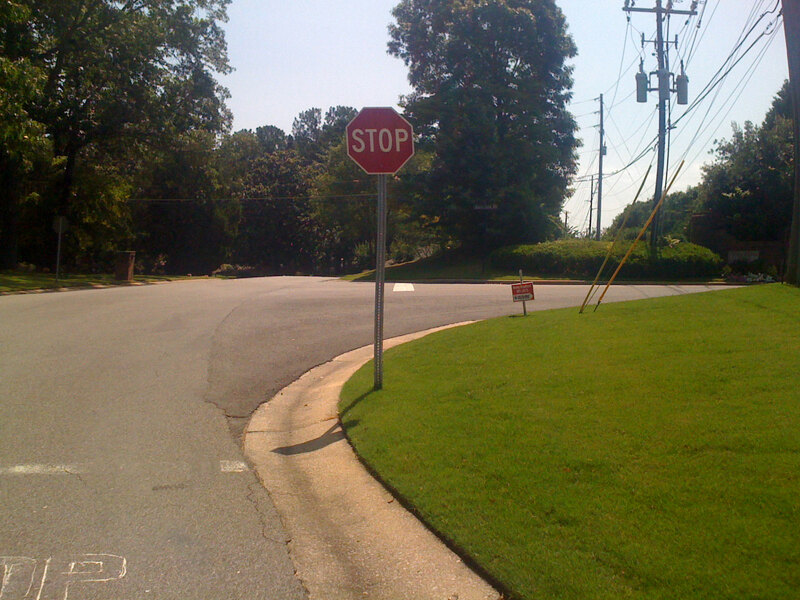 Observe the posted speed limit of 30mph and stop at the three-way stop at the bottom! 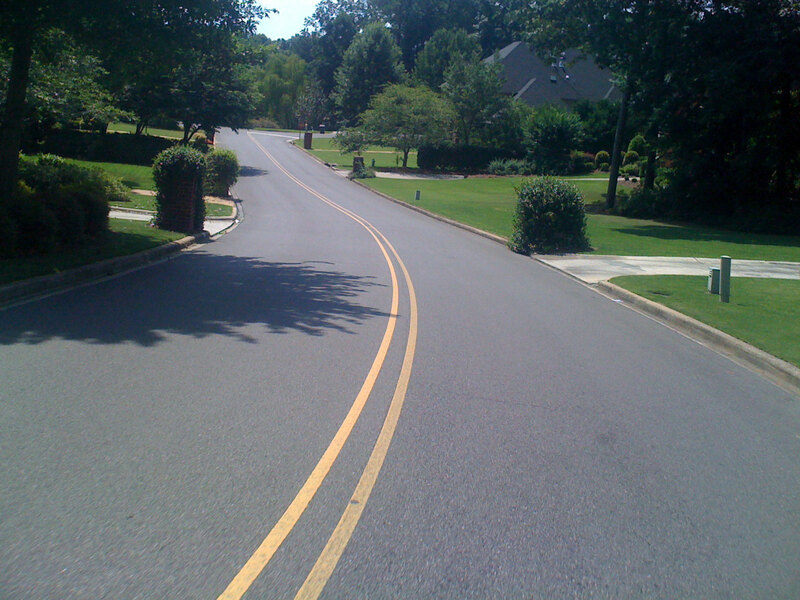 This entry was posted in Training and tagged descending on June 21, 2012 by kartoone. My bike at the Cahaba Beach road bridge. You have to hoist your bike over the barricade and carefully ride the planks to make it over to Cahaba Beach road. Watch out for the holes straight through to the river! A post about climbing the ridges in Birmingham wouldn’t be complete without my favorite ridges southeast of town – especially the two high ridges on Double Oak Mountain. I rode out there today armed with my camera and ended up taking more than 50 photos. I picked out the best ones and created a topocreator map to highlight the ridges southeast of Birmingham. Two screenshots merged to form a complete ride profile (10 mile, 250ft scale). 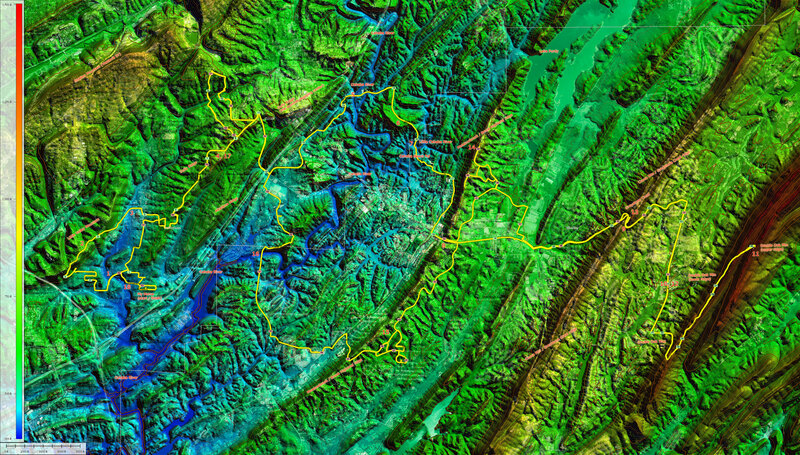 The numbered ridges and creeks are labeled on the topocreator map below. 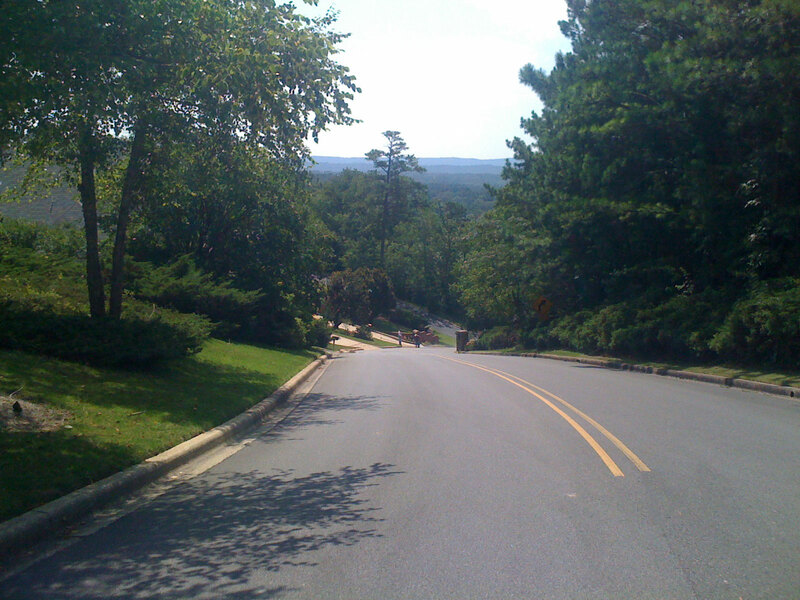 This view from the high point on Dolly Ridge road inspired me to call this ride the “ridge to ridge” ride because you can see the ridges stacked on top of each other – each one higher than the one before! Looking back towards the Vesclub part of Shades Mountain over a particularly hilly stretch of road. Heading towards Cahaba Beach Rd – so rural there is no need to clear the road of a tree if it only falls halfway across! 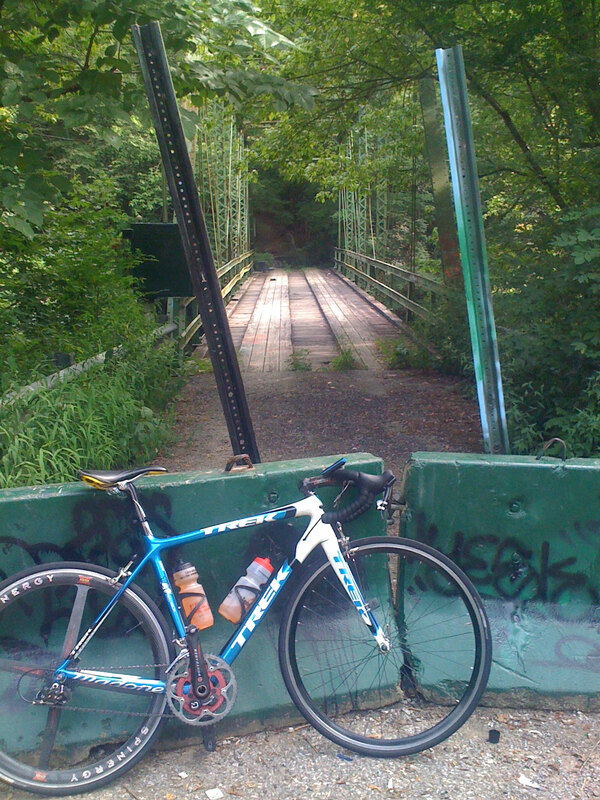 My bike at the Cahaba Beach road bridge. At the top of what I call the lower Double Oak Mtn ridge line … my Garmin was reading about 30-40 feet too low. The view looking down the Double Oak Way roller coaster that separates the lower ridge line from the upper ridge line – 50mph descent both directions! Another view shortly after the 25% drop-off looking towards Leeds. I took this picture because AL-25 crosses the farthest ridgeline at a spot just behind the trees on the right – and there is a spot where you can look backwards from AL-25 at the spot where this picture is taken from. 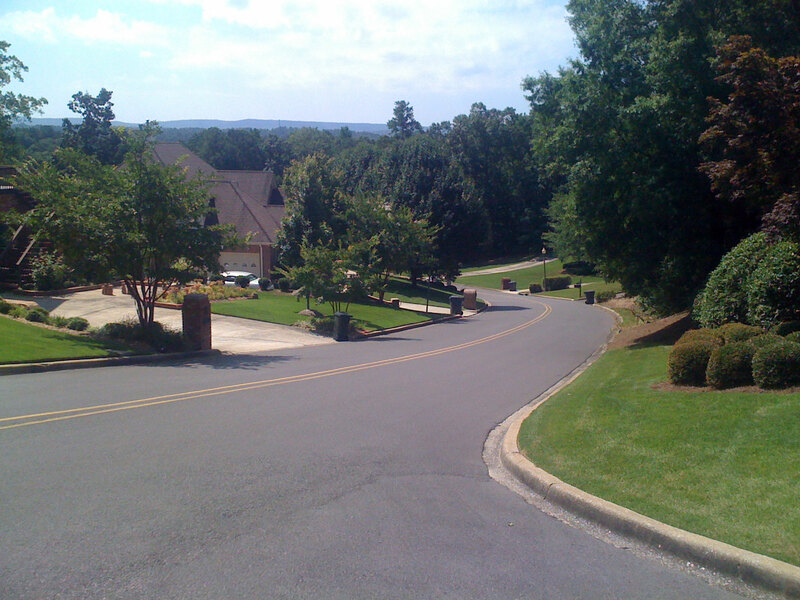 Greystone Crest – a picture never does the true slope justice! US 280 at about 5:30PM – looking towards Birmingham from the low spot where 280 crosses the Brook Highland / Meadowbrook ridge line. This entry was posted in Training and tagged climbing, topocreator on June 21, 2012 by kartoone.